On Wednesday, IMSA announced that 47 cars will race in the 24-hour race at Daytona International Speedway on Jan. 26-27. Eleven Daytona Prototype international (DPi) cars, four Le Mans Prototype 2 (LMP2) cars, nine GT Le Mans (GTLM) cars, and 23 GT Daytona (GTD) cars make up the grid for the 57th running of the event. It will mark the first IMSA WeatherTech Championship event in which the entire field will use Michelin tires. 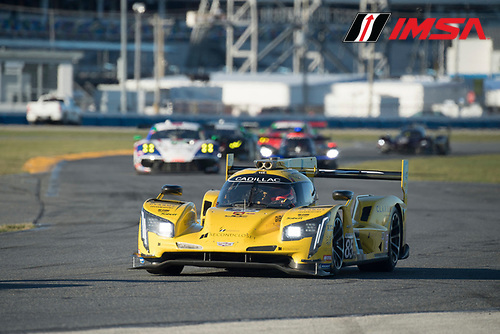 Six Cadillacs are entered (two Action Express Racing cars, one Wayne Taylor Racing car, one Juncos Racing car, and two JDC-Miller Motorsports cars). Acura will feature two DPis for Team Penske. Mazda will enter two DPis with Joest Racing, and Nissan will enter one DPi with CORE Autosport. DragonSpeed will enter two Oreca 07 cars. Performance Tech Motorsports and PR1/Mathiasen Motorsports will each enter one Oreca 07. CORE Autosport will enter two Porsches, Risi Competizione will enter one Ferrari, Rahal will enter two BMWs, Chip Ganassi Racing will enter two Ford GTs, and Corvette Racing will enter two of its cars. 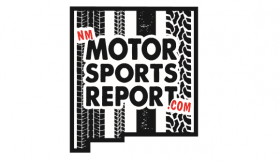 Four Porsches are entered (one each by Pfaff Motorsports, Park Place Motorsports, NGT Motorsport, and Black Swan Racing). Five Lamborghinis are entered (one each by GRT Grasser Racing Team, Magnus Racing, Ebimotors, Precision Performance Motorsports, and Paul Miller Racing). Three Ferraris are entered (one each by Via Italia Racing, AF Corse, and Scuderia Corsa). Two Mercedes-AMG GT3s are entered (one each by P1 Motorsports and Team Riley Motorsports).